Once again we find Jesus hanging out with the Pharisees, even going to eat with one of them at his house. By chance a man suffering from dropsy was at the same dining party. Most of the time we marvel at the miracle and discard all else surrounding the incident. Never should we dismiss the miracle, however, it is really secondary to the story. 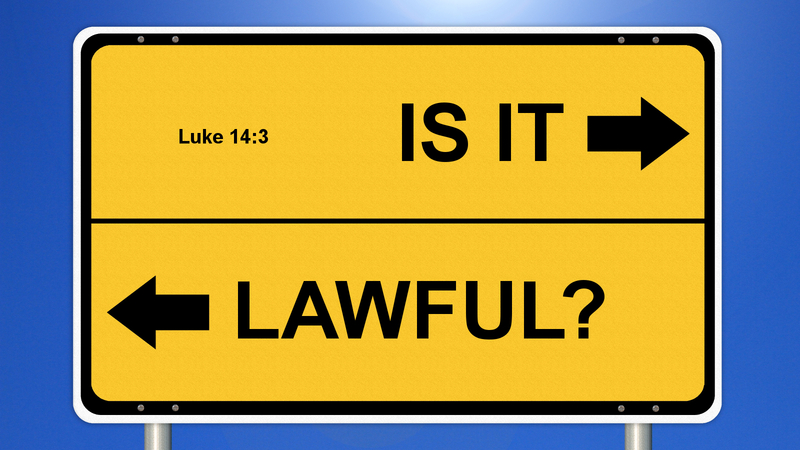 Jesus knows the Pharisees and their penchant for the law. You see, for the Pharisees the observance of the law was beyond question and one must follow it to the tee. In fact, it was against the law to heal the man on the Sabbath as this would constitute not keeping the Sabbath in the eyes of the Pharisees. Their silence speaks loudly as they believe Jesus is going to make their case for them against himself and they would not have to lift a finger to discredit Jesus. He would do the dirty work for them. As usual, Jesus schools the Pharisees and demonstrates their lack of understanding of what is important. The rule and the observance of it are not to overshadow people. God cares for people much more than rules and traditions. Prayer: Father, help us to put people before our pet peeves and traditions. Amen.